The Police Benevolent Foundation and the Southern States Police Benevolent Association are ready to help law enforcement officers and their families that may be affected by Hurricane Florence. Unlike most, a police officer’s job can never really be put on hold when disaster strikes. They are required to work through the worst conditions and be ready and able to help others. The Police Benevolent Foundation was initially created in 2005 to aid officers and their families after Hurricane Katrina. Many years later, the Foundation is still going strong and is ready to help officers as Hurricane Florence affects the coast. The Police Benevolent Foundation has established the “Hurricane Florence Police Officers Recovery Fund” to aid these officers during their time of need. Donations can be made through the Police Benevolent Foundation's website or by clicking here: https://bit.ly/2xkG9m2. Law enforcement officers that need financial help to rebuild or recover from the Hurricane damage are asked to call SSPBA at 1-800-233-3506 extensions 554 or 725. Officers may also email information about the damage or help they need to gjohnson@sspba.org. 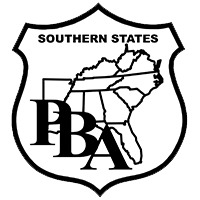 The Southern States PBA and Police Benevolent Foundation will work to ensure that all money received through the “Hurricane Florence Police Officers Recovery Fund” goes to the intended purpose of helping officers and their families rebuild. President of the North Carolina PBA Division Randy Byrd said, "We are deeply concerned about this storm and the aftermath that will follow. Officers will be on the front lines for days assisting the public with this storm while their loved ones are in harm’s way and their homes face destruction. We ask for your prayers and your support through the PBF as we help these officers and their families."